Oh my goodness if there’s one thing I love in the crunchy-snack-world-of-treats it’s barbecue potato chips. Yep, there I said it, I LOVE them and similarly they love my hips, so we’ve mostly parted ways. 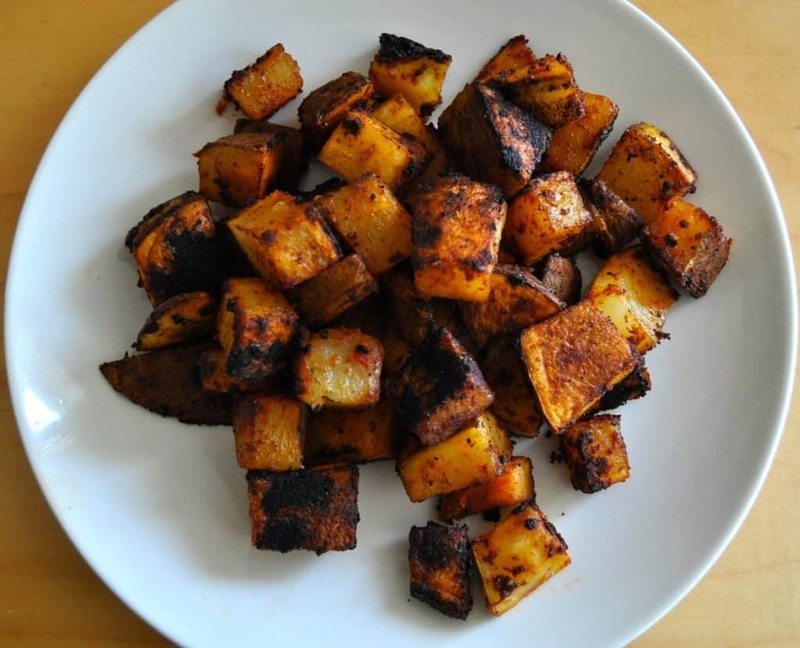 It doesn’t mean I don’t long for the flavor though and being me I eventually came up with some easy Barbecue Flavor Roasted Potatoes that taste quite a bit like barbecue chips. Not exactly but close enough and they’re healthy, mostly. 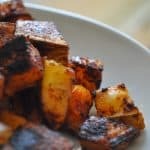 I find these easy to make roasted potatoes are what I’ve been turning to lately when I need a quick side dish and the oven is already on. 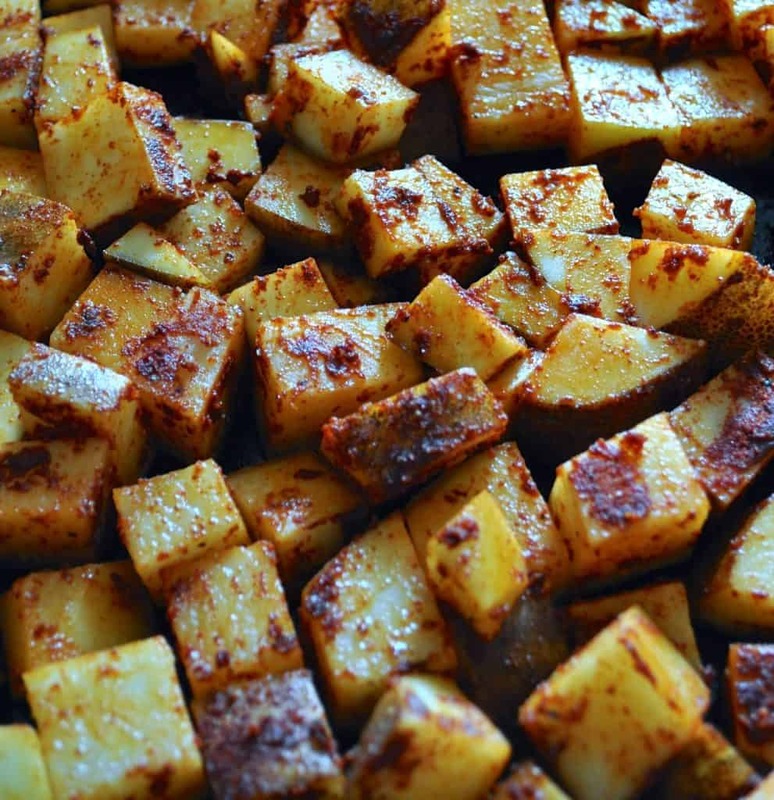 I think “well I might as well maximize that oven heat and fill it up” but mainly it’s about having tasty potatoes. Again. My kids even give them the thumbs up and ask for them instead of tater tots and that’s when you know these are seriously good, tater tots have been upstaged. Of course add more or less of the spices as you prefer, this is how we like them but your tastes are definitely your own. I wouldn’t leave out the tomato powder altogether though, it’s really important to the recipe and without it the potatoes are OK but not stellar. Here’s a link to Tomato Powder on Amazon (affiliate link) you can find it in some natural grocery stores in the bulk spice section, although I’m not sure how that works because it really needs to be kept dry and cool or it clumps. Saying that, I still keep mine on the pantry shelf, I’m a rebel, it just means I need to chip it out with a knife first before I measure it. If there's one thing I love to snack on is Barbecue Chips! 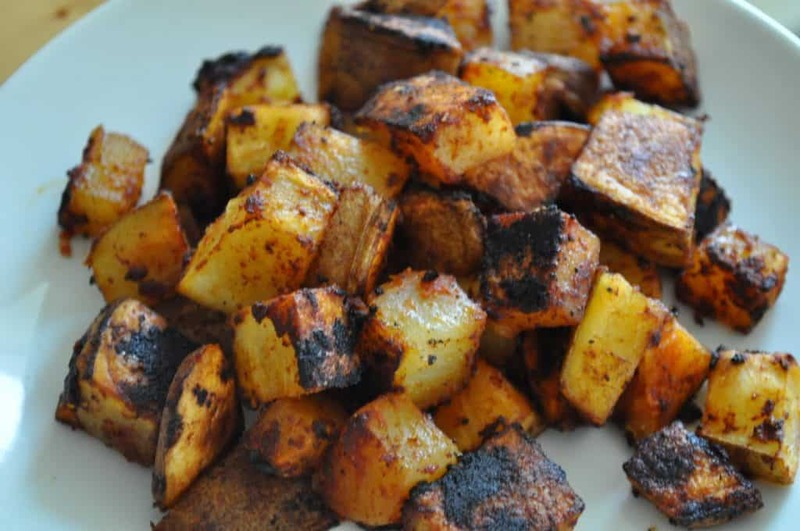 I figured out how to make roasted potatoes that TASTE almost like bbq chips. 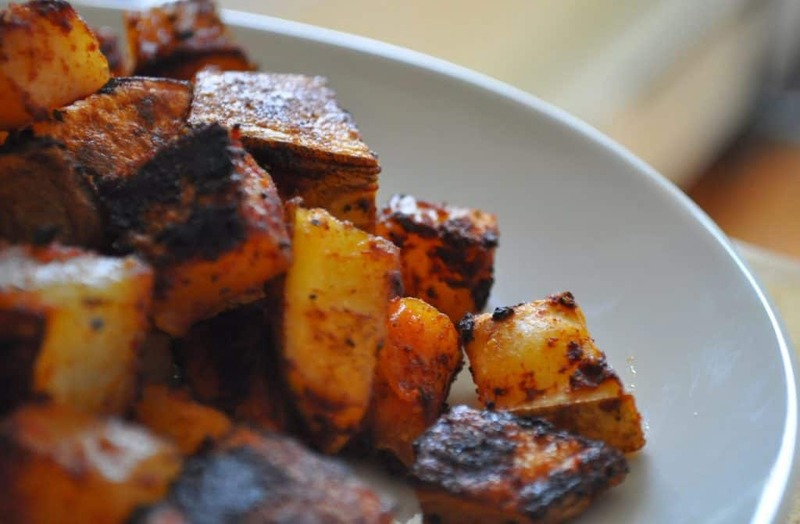 Make these Barbecue Flavor Roasted Potatoes for dinner and you won't be disappointed. If you bake them on the bottom rack of your oven they’ll be more crispy on the bottoms, if you’re nearer the top the tops will get crispier-just a thought to keep in mind when going for a crisp crunch.